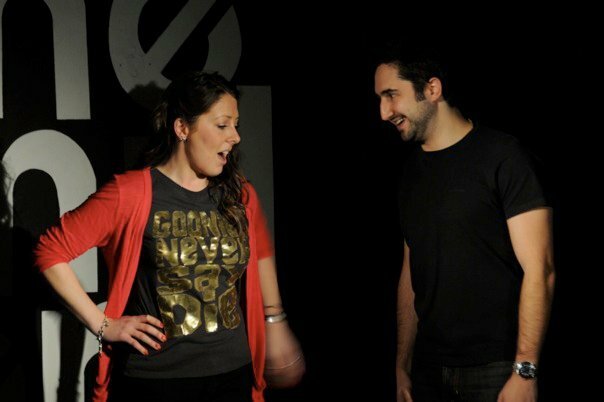 Did you know there was a regular comedy improv night in West Hampstead? You do now. Every other Tuesday, The Inflatables and sister group StoryBag perform at The Lower Ground Bar (or Bar 269 as it seems to be called now). The evening kicks off at 7.45 (doors 7.30pm) with 40 minute of “short form” improv. Those of you like me, who grew up on a diet of Whose Line Is It Anyway, will recognise this style of improv. 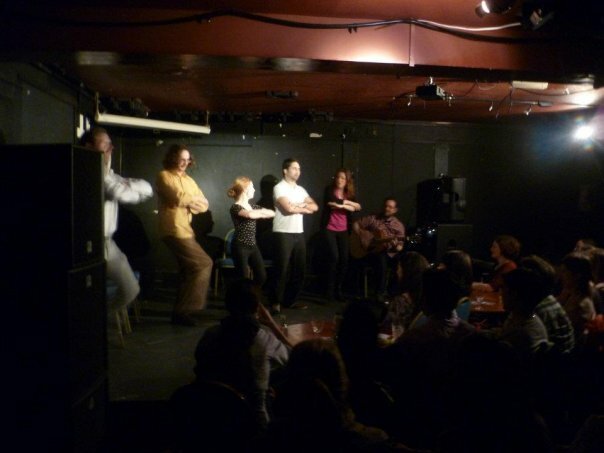 The audience throws out suggestions while a troupe of four comedians runs through various games and scenes at a rapid pace. After a break, it’s longform time. If you’re not familiar with longform improv, it’s all the rage. Rather than quickfire games, this is a 40 minute long play based loosely around three initial audience suggestions. It’s a different beast to the short-form stuff you may have seen before, but no less enjoyable. The impresario behind this new night of laughter is local resident, voiceover artist and actor Andrew Gentilli. He realised at drama school that he loved the improvised scenes more than the scripted material. “It’s so much fun to perform and so much fun to watch. It has a certain energy to it”. He fell in love with improv and now he runs two groups of his own – The Inflatables (which is the short-form group) and Story Bag (the long form group). If you want to throw some curveballs at Andrew and his comedy friends, then get yourselves to the Lower Ground Bar with a crisp £5 note in your pocket. Next one’s tonight. Review: Come In! Sit Down!